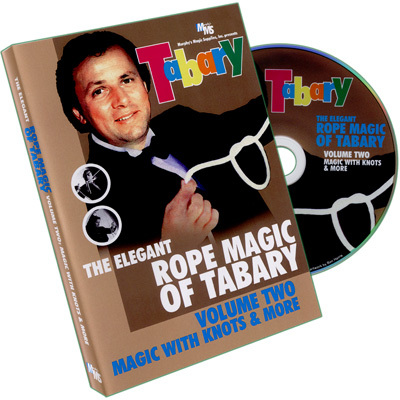 Tabary continues to elevate the art of Rope Magic on this second volume of incredible Rope Magic. Featuring four outstanding routines, Tabary explains each in every detail. Two of the routines deal with knots appearing and vanishing from ropes; this is Rope Magic like you have never seen it before. 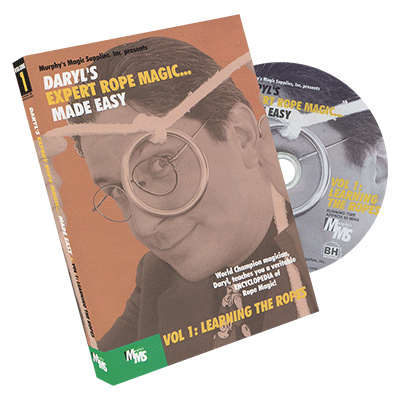 Highlighting this video is a brand-new, never-before-released rope routine that ou simply won't believe - it takes rope magic even further that the rope routine described on Volume #1. Once again, Tabary holds nothing back in teaching you every detail. You simply won't believe you eyes. Then Tabary performes and explains a multi-phase Ring & Rope routine that is absolutely incredible; once again Tabary smashes the boundaries of previous work in this area.